Here at RCM we like to get to know our customers and find out what makes them tick. We collared Rob Harris to find out his story and discover just what makes his car so special to him. 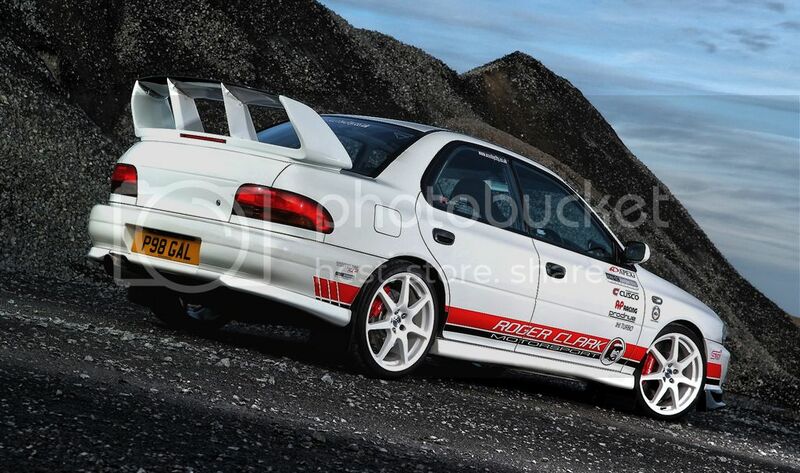 RCM: So, where did your love affair with cars begin and how did you end up joining the Subaru community? Rob: I've always been a petrol head, taking after my dad! A series of rubbish Mk3 Escorts was followed by my first "performance" car, a Peugeot 309 XSi. A 405 Mi16, and two 205 GTi's followed, before I headed down the JDM route with a Mark 1 Eunos Roadster 1.6 V-spec. This lasted nearly three years with me, before upgrading to my first Impreza, a 2.0 Sport. I'd hankered after one since seeing Colin McRae win the 1995 WRC title in one, and although it wasn't turbocharged, it was enough to seal my love for the marque. Colin remains an inspiration, now sadly missed. RCM: When did you and the “Robstopper” first meet? Rob: I had three years with the Sport, and by this time was going to TSL Motorsport for servicing on the car. When the time came to upgrade to a Turbo, I asked Paul Cowland to track me one down. They came up with this example - UK model Turbo 2000, 7 years old, two owners, and just 28,000 miles on the clock. Immaculate condition, with a few choice upgrades already fitted (we just won't mention the Lexus-style rear lights, OK?!?) - they even knew both former owners, as Gavin (TSL mechanic) had worked at the local main dealers when it was originally sold as new. RCM: What made you choose to bring your car to RCM and what is it that makes you keep coming back? Rob: I'd been using a local specialist for servicing and tuning work, but when they folded I needed to find a new safe pair of hands to look after my car. That coincided with myself and Matt Woods landing a couple of magazine features for the now-defunct Total Impreza publication - firstly, the cover story for Issue one featuring 6 RCM-modified Impreza’s, and then followed by being imbedded with the team during the Donington round of the 2008 Time Attack series. 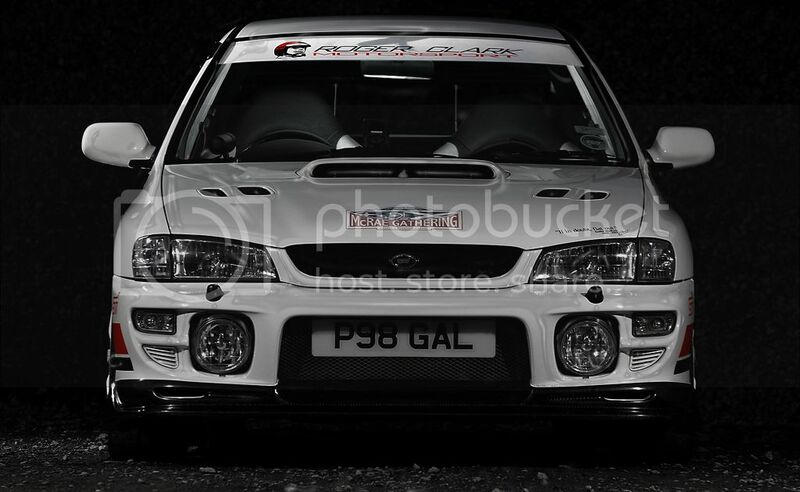 Being totally blown away by the level of engineering and performance of the Gobstopper, and getting chatting to Olly and Matt during the weekend, I realised that there was no better place to take my car than the premiere Subaru specialists in the UK. After being left some money by my grandparents, I paid my first visit to RCM for its initial modifications comprising an RCM open-mouth downpipe, some Prodrive PFF7 wheels specially powder coated white, AP Racing 6 pot "Big Brake" front brakes, an AP Racing organic clutch, and an RCM lightweight flywheel. That was six years ago now, and I've not taken my car anywhere else since. RCM look after my car like it's one of their own (in fact, I'm sure Olly actually thinks he owns it, and I just pay the bills on it!!! ), and I'm proud to consider myself one of the RCM "family" now. That feeling is enhanced even further by carrying the RCM colours on my car, plus the one-and-only Gobstopper replica rear spoiler - as it now bears a passing resemblance to their legendary Gobstopper, mine has even been christened the "Robstopper"! RCM: Can you tell us what modifications and work you have carried out to the car during your ownership? 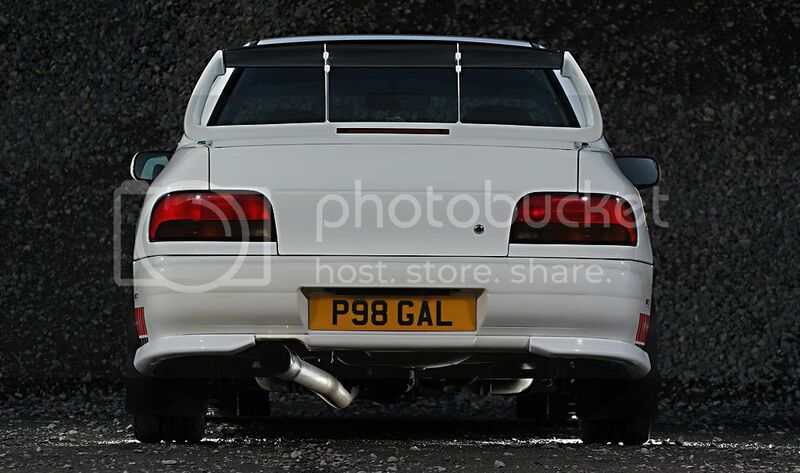 Gobstopper replica rear spoiler - on genuine ex-Gobstopper boot lid! With careful, regular and meticulous servicing at RCM, my car still continues to develop just over 300bhp and about 300lb/ft on it's VF35 turbo and A'PEXi Power FC management, healthy improvements over the standard 208bhp for it's year! RCM: Thanks for sharing your story with us Rob and long may the “Robstopper” keep gracing us with its presence! 2016 - Whats New ? A rundown of the latest offerings from the RCM Stable. we meet chris and "rosyB"